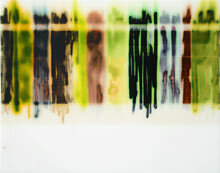 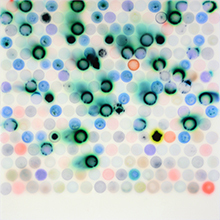 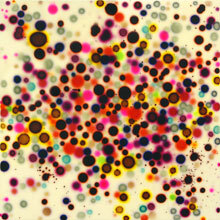 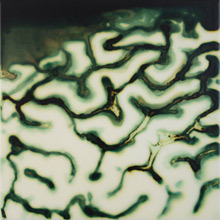 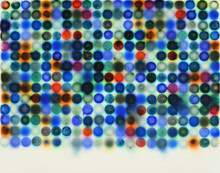 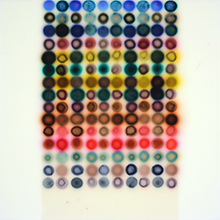 Jaq Chartier's paintings explore scientific methods through experimentation with paint and process. 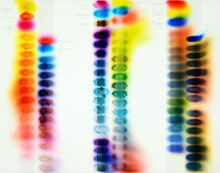 All of her works are "tests" to discover something about materials and what they do. 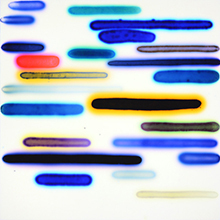 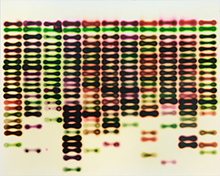 Inspired in part by images of DNA gel electrophoresis, Chartier investigates the migration of various stains through layers of paint and acrylic gels. 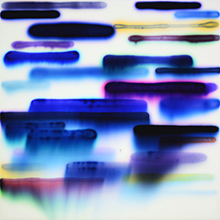 Chartier's paintings feature intimate views of materials as they react to each other, to light, and to the passage of time, including notes written directly on the paintings. 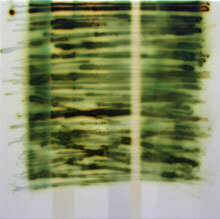 Through experimentation, observation and notation Chartier creates sensuous paintings that provide commentary on both the visual culture and everyday practice of scientific investigation by highlighting similarities between artistic and scientific practice.